Writing documentation is no easy task. It takes a lot of time and effort to write good documentation for any product, service, or technology. But all this effort and time would be wasted if users are not finding it helpful. To bridge this gap, larger corporations provide a simple feedback form at the end of their documentation articles that asks the user a simple question “Did you find this article useful?”. Recently, while working on a client’s project, we found a need for a solution that allows us to get user feedback on our documentation. 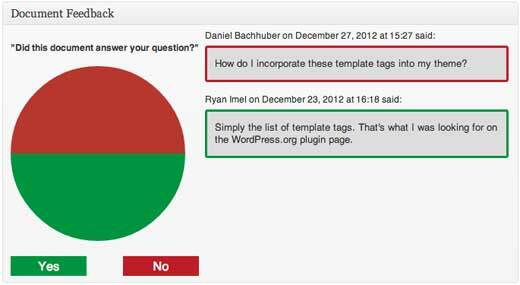 In this article, we will show you how to get readers feedback on your documentation in WordPress. First thing you need to do is install and activate Document Feedback plugin. Once activated the plugin adds a nice little prompt at the end of your WordPress pages asking for user feedback. When users click Yes, they are asked what details they found useful. Otherwise, if a user clicked No, they are asked what information they would like to see here. The plugin then displays the document feedback to the authors/admins. Simply add any other post type that you want in the array above. The plugin is also limited to logged-in users only. That worked fine for our use case because the documentation was only available to registered customers. From the looks of the plugin’s development comments, it seems that the author has plans on making it available for logged out users as well. This plugin provides quick private feedback to improve your documentation pages. It is better than embedding a contact form at the bottom of documentation pages or enabling comments. 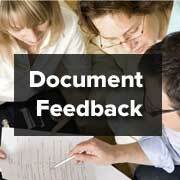 Let us know how you get user feedback on documentation on your sites? I have a question. I thought feedback would allow us to respond. I don’t see a way to do that. Maybe I’m using it incorrectly?